Nowadays, people's awareness of privacy protection arises, which causes the existence of screen lock. Screen lock, a safe guarantee for all the personal data stored on our mobilephone, includes PIN, patterns, password and fingerprint. But along with the appearanxe of screen lock, the problem that forgetting the screen lock also exists and troubles plenty of people. Actually, there are many ways to remove the lock. But generally you have to run the risk of data loss no matter which methods you choose. But here, I am going to introduce a helpful tool called Samsung Galaxy Recovery, which is known for data recovery, has invent an new function - Android Lock Screen Removal. The program can perfectly meet the need of unlock the screen lock for your Samsung smartphones & tablets without losing any of your data. Samsung Galaxy Recovery is a data recovery program covered over 6000 Android phones and tablets from Samsung, HTC, LG, Sony, Motorola, ZET, Huawei, etc. The list of supported devices is still growing rapidly. Android data recovery sounds a pretty professional thing. Really, but people without any professional computer skills can handle it easily. All you need to perform is just three baby steps. Take Samsung as an example, let me show you the new function. 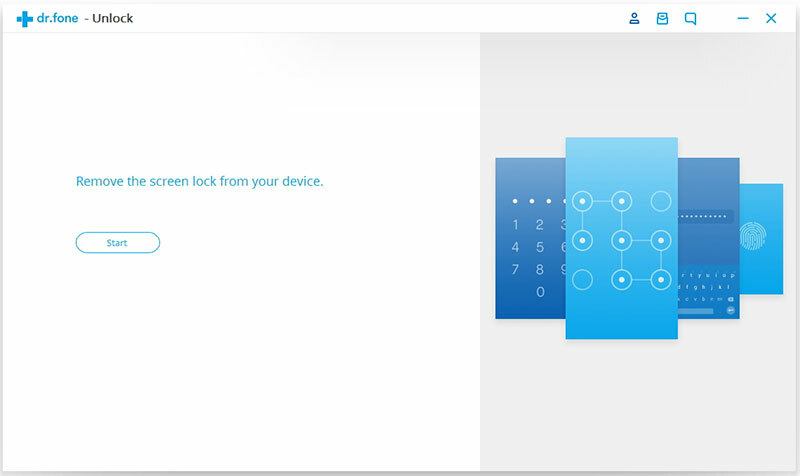 The particular of How to Unlock the Screen Lock on Samsung devices are listed as below. First, launch Dr.fone Android Toolkit and you will see many functions are listed in the primary interface. Here, you should choose "Unlock". Then connect your Samsung to the PC via a USB cable and click "Start" to begin. What amazed us most is that the Android Lock Screen Removal enbles us to remove the password of whatever PIN, patterns, password and fingerprint. Because for the different phone models, the recovery package is different, it's very important to select the correct phone model. You can find all the supported device models in the list as below. 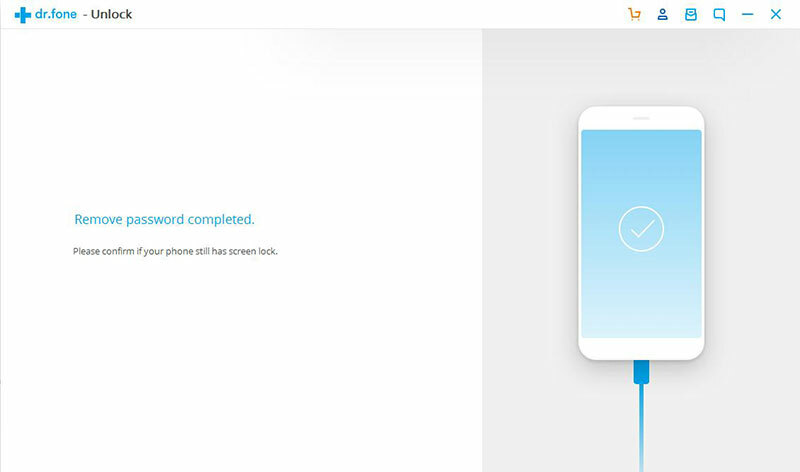 Before implementing the next step, please enter "confirm" to ensure that you have chosen the correct model of your Samsung device that you are going to remove the lock screen. 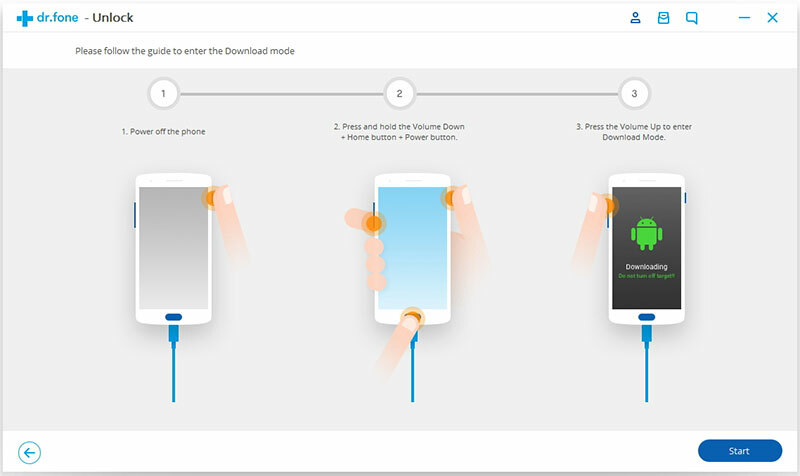 Simply follow the instructions on the program to get your phone into Download Mode. With the help of the photos showed along on the window, it will be easier. 1) First of all, put your Samsung phone power off. 2) Press and hold volume "-" & "Home" button & "Power" button simultaneously on your phone. 3) Press the volume "+" to enter download mode for your device. 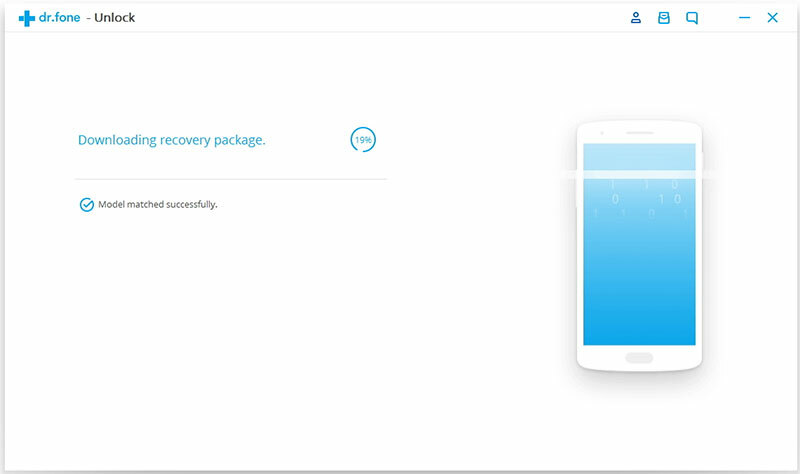 After you get your device into the download mode, by default, the program will automatically download the corresponding recovery package for your Samsung device. You need to wait for a while with patience until it's finish, it won't spend too mush of your time. The Android lock screen removal begins as soon as the recovery package downloading is complete. This process will not hurt any of your phone data. When the programme of unlocking is finish, you can use your Samsung phone or tablet dispense with entering any password, and view all your files on the device without any restriction. You can try Samsung Galaxy Recovery to unlock the screen lock without losing your data on you phone. You won't regret it. HTC Data Recovery helps to unlock the screen lock on your HTC phones and tablets with a click, including the lastest HTC One M10, HTC One M9, HTC One A9, etc. How to unlock iPhone/iPad without password? iOS Lock Screen Removal helps to bypass the lock screen password on iPhone/iPad, remove the screen lock on iPhone/iPad.